Washington, DC—Rep. 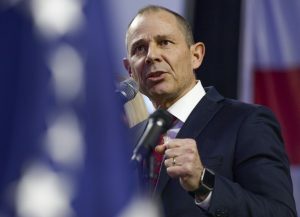 John Curtis (R-UT) released the following statement after President Donald Trump gave remarks, advocating for a compromise regarding the partial shutdown. The Congressman published an op-ed in Deseret News earlier this weekend regarding the shutdown, click here to read. Last week, Curtis introduced The Government Shutdown Prevention Act. The legislation would automatically continue government funding through a continuing resolution. The bill would implement a five percent spending penalty on the day the continuing resolution begins. Federal spending would be reduced by two percent 60 days after the first day of the fiscal year and by an additional two percent each subsequent 60-day period. Click here to read more. 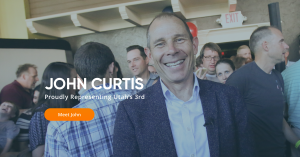 Earlier this month, Congressman Curtis introduced H.R. 26, the “No Work, No Pay Act of 2019.” The legislation would prohibit Senators and Representatives from being paid during periods when any Federal agency is shut down due to a lapse in funding appropriated by Congress. Click here for more.